Introducing seven of Canada's most inspiring, community-minded young people, the HSBC Future Leaders! TORONTO, Nov. 18, 2017 /CNW/ - Earlier today HSBC Bank Canada (HSBC) and the Breakfast Club of Canada recognized seven inspiring, community-minded young people from across Canada as HSBC Future Leaders at a special recognition event at the Ontario Science Centre in Toronto. 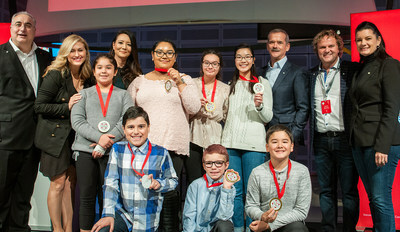 Helping make it a day to remember were special guests Col. Chris Hadfield, first Canadian Commander of the International Space Station, and Ziya Tong, Host of Discovery Channel's Daily Planet. "From championing eco-friendly programs, advocating for social justice and mental health initiatives, to supporting diversity and inclusion in their schools and communities, these seven amazing young people are making Canada a better place," said Larry Tomei, ‎Executive Vice-President, and Head of Retail Banking & Wealth Management, HSBC Bank Canada. "As Canada's leading international bank, we share their passion for excellence and community and it's with great pleasure that we recognize them as HSBC Future Leaders in partnership with the Breakfast Club of Canada!" The final seven HSBC Future Leaders were selected from a total of 21 students in grades four to 12 – nominated by school administrators from schools across Toronto, Vancouver, Calgary, Montreal and Saskatoon – with the final seven selected by a panel of judges who considered the nominations based on four areas: inspiration, impact, sustainability and collaboration. In honour of Canada's 150th anniversary this year, HSBC Bank Canada is donating $1m to the Breakfast Club of Canada to provide 4,500 youth each year in Vancouver, Calgary, Saskatoon, Toronto and Montreal with access to healthy breakfasts, over the next three years (2017-19). 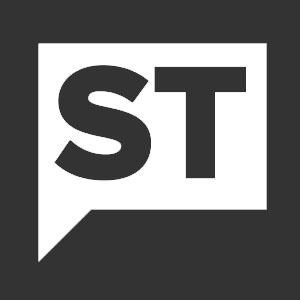 "Canada is one of the best countries in the world to live and work, so it can be hard to believe that one in five Canadian children currently live in poverty, therefore at risk of going to school hungry," said Daniel Germain, Founding President of Breakfast Club of Canada. "Our kids deserve better. With the help from partners like HSBC, we can help youth access healthy breakfasts so they can fuel their minds, bodies and dreams for the future." HSBC's support will also see 50 school kitchens equipped to prepare healthy breakfasts, and HSBC employees across the country will continue to participate in Breakfast Club of Canada's 'Adopt a School' volunteer program. HSBC Bank Canada, a subsidiary of HSBC Holdings plc, is the leading international bank in the country. We help companies and individuals across Canada to do business and manage their finances internationally through three global business lines: Commercial Banking, Global Banking and Markets, and Retail Banking and Wealth Management. HSBC Holdings plc, the parent company of the HSBC Group, is headquartered in London. The Group serves customers worldwide from around 3,900 offices in 67 countries and territories in Europe, Asia, North and Latin America, and the Middle East and North Africa. With assets of US$2,526bn at 30 September 2017.For more information visit www.hsbc.ca or follow us on Twitter @HSBC_CA or Facebook @HSBCCanada.